Sunday night, I became a 10-year-old girl all over again. I patiently sat on my living room floor, eyes glued to the VMAs during Justin Timerblake’s performance. I knew 4 more guys would pop out at any moment and I didn’t want to blink, causing me to miss a single moment. A moment that ‘N Sync would possibly reunite. It’s been exactly 15 years since I watched ‘N Sync first perform in concert on the Disney Channel. That same feeling of anticipation mounted as butterflies filled my belly. Can you spot a difference in the time lapse? I am now a grown woman that shouldn’t be squealing that late at night, rather in bed getting rest for work. I flipped out; like totally lost it when JC Chasez, Lance Bass, Chris Kirkpatrick and Joey Fatone all slowly descended onto the MTV stage. My childhood fascination was coming full circle. Vivid memories ran rampant in my mind for all of 45 seconds. Did they even perform that long? Who cares? It was just enough for this longtime fan! Growing up, I had a slight ‘N Sync obsession. A minor infatuation some would say. I could name all 5 of the guys: hometowns, birthdays, favorite colors and even pet peeves just to name a few. Hey, no judgment. I was a preteen and had nothing else popping at the time. My parents swore I was nuts. 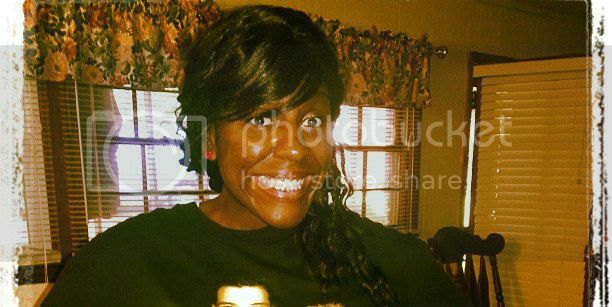 Other black kids made fun of me. My white friends soon made me their “token”. We performed ‘N Sync dance moves in the hallway at school and stayed up late on the phone critiquing the guys every move after any televised performance. While everyone called me weird, I liked what I liked. My childhood bedroom is still filled with piles, upon piles of memorabilia. 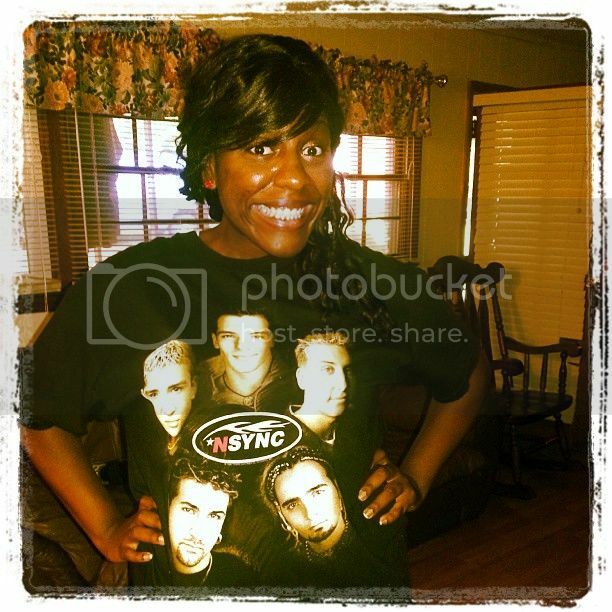 For years I was dubbed as the strange black girl that was way too into ‘N Sync. From the looks of things online, other black women say they were doing the same thing as I during ‘N Sync’s quick reunion: drooling at the TV. I took to social media and saw women of color reminiscing through posts about adolescent years with ‘N Sync. I knew I wasn’t alone! My best friend even watched the highly anticipated event with me via FaceTime. We both shed a tear. Sorry, girl, to sell you out. So all these years later, what makes them so appealing to a so-called “unlikely audience”? Johnny Wright is ‘N Sync’s former manager and currently carries that same title for Justin. Johnny is black. Full Force produced early tracks for ‘N Sync. Full Force is black. Actor Darrin Henson even choreographed several sleek, signature moves that the group is known for. See a theme here? While ‘N Sync may have been pegged by naysayers as just another group of white boys that could dance, us fans knew and still know better. They’ve left a long lasting cultural impact on both the world and pop culture. Once their final album hit stores in 2001, more urban radio stations began to play them in regular rotation. In my opinion, this helped Justin a bit with is now “street cred,” but I digress.